hitchBOT had traveled across Canada, the Netherlands, and Germany without incident, but hitchBOT's trip came to a brutal end in Philadelphia after only two weeks in the United States. According to the hitchBOT Facebook account, hitchBOT was vandalized in the City of Brotherly Love after a brief time there. The concept was meant to share research amongst "science minded folks," and hitchBOT even enjoyed listening to music and hearing people discuss Philosophy. hitchBOT started in Canada. 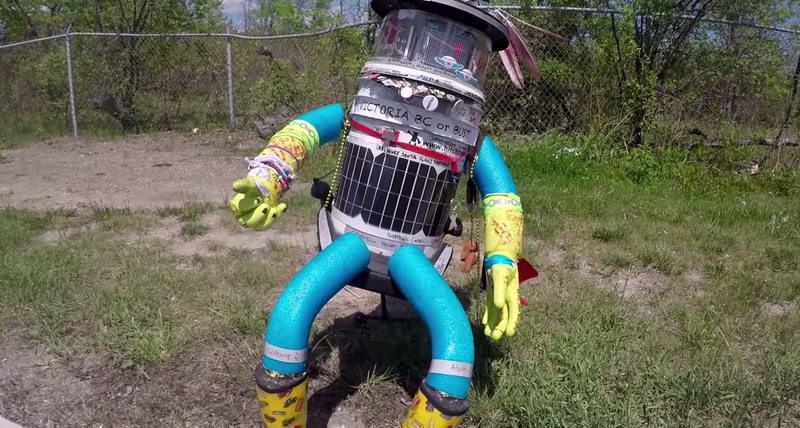 Those who saw hitchBOT were to pick it up, drive it a distance, and upload photographs of adventures along the way. It had attended a comic book convention, a Red Sox game, and a wedding, and even spent a week with a heavy metal band. Creators noted a picture of a destroyed hitchBOT was sent, along with a distressing message, but hitchBOT was untraceable because its battery was dead. They will not release the photo, as hitchBOT was beloved by schoolchildren worldwide.